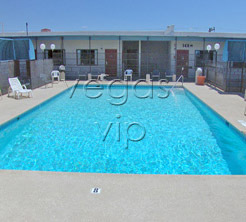 Address: 707 E. Fremont St.
Standard room amenities : Air conditioning, telephone, hairdryer, TV and electronic room keys. Hotel amenities : Maid service, wake-up call and room service. 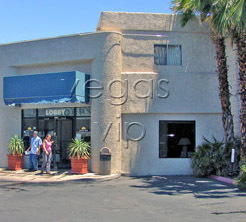 Located just on the edge of the Fremont Street Experience, The Good Day Inn offers 24-hour front desk service, a restaurant, a free deluxe continental breakfast with stay, and free large truck and R.V. parking. In season, enjoy the outdoor pool and all year round, enjoy new Serta Sleepers in rooms. 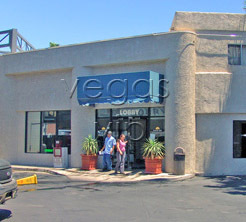 The Good Day Inn is a perfect way to rest in comfort and inexpensively in the heart of the action. The inn offers 147 rooms with TV, alarm clock and safe deposit box.